Ok, so before we get into trouble, we’re not encouraging you to strip down to your birthday suit around London. The likelihood is, no matter how secluded the location, you’re in a densely populated capital city and you will be seen (and probably photographed, Snapchatted and made into a YouTube sensation). If you want to go down that route, by all means, be our guest. This gorgeous little space behind the junction between Charing Cross and Shaftesbury Avenue is beautifully looked after and the perfect place for tranquil lunch breaks and sunshine down-time with your pals. After recently being closed to the public, the team at the Phoenix Garden have constructed a new community building and are soon to reopen. They’re aiming to raise money to re-landscape and refurbish the place! They haven’t got long to reach their target and you can back their fundraising project here. This green oasis in the heart of Dalston is bound to take delight new visitors. The seating areas, nestled in the arches and shrubbery, prove to be a great hideaway. There’s also a garden cafe, serving up teas, fresh produce and home-baked treats, as well as wine, beer and cider. It’s a two minute walk from Dalston Junction and is totally free to enter throughout the week. It’s open from 11am – 7pm Monday-Thursday and 11am – 11pm Friday-Sunday. Also, on Tuesday evenings from 7pm, they put on a weekly Woodburner Music Night. Admission is £5. This secret grassy spot was once the gardens belonging to a row of terraced houses on Gower Street (back when having a garden in London was a conceivable thing). 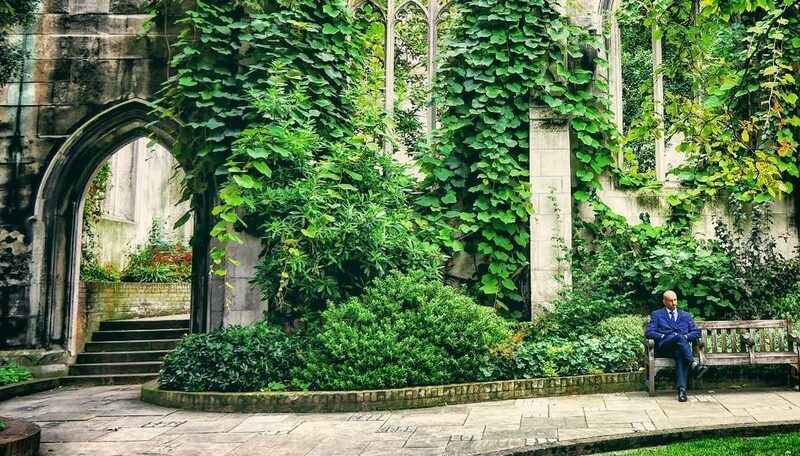 It’s now owned by the University of London and is a private garden for most of the year, but opens up to the public between April and September from Monday-Friday, 11am – 3pm. 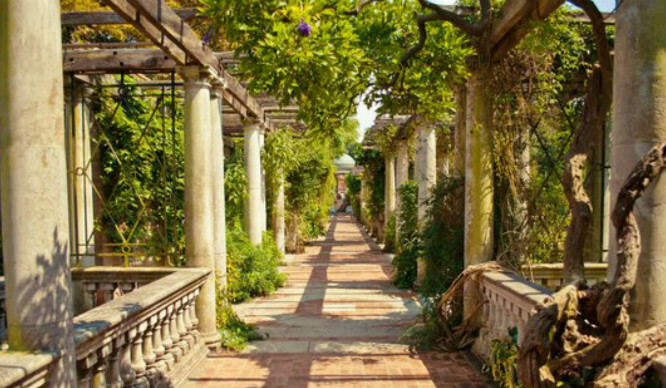 A treasure of Hampstead Heath, the blossoming and eerily deteriorated Pergola sits towards the North-West. It was built in the early 1900’s to cater to a Lord’s demand for extravagant Edwardian parties, but has since lost its glamorous sparkle. However, we’ve always preferred the rustic vibes and the pergola is now a landmark that’s beautiful in all its untamed glory. It looks down upon the Hill Gardens, which you can also explore. Being the society to many barristers of London, we take back what we said about sun-bathing in the nuddy – unless you want to increase your chances of going to court. (And you’d probably lose, in this case). Nevertheless, this 3-acre garden has colourfully-bordered, far-stretching lawns, which are trimmed to perfection. We even wonder if someone’s taken a pair of scissors to them. It’s generally open to the public between 12.30pm – 3pm during the weekdays, so grab your sarnies and go! You can access it through the main gate opposite Crown Office Row.